The UCSD Department of Computer Science and Engineering had its first annual award ceremony to highlight outstanding contributions to research, teaching, and diversity at both the graduate and undergraduate levels. Our group won the best research awards at both the undergraduate and graduate level. 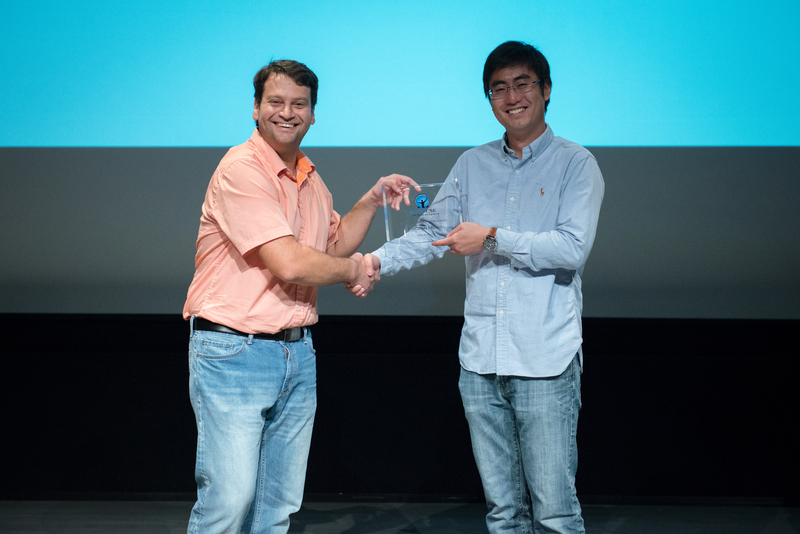 Pingfan Meng received the graduate research award to cap off an outstanding year in which he won the best paper award at FPL, and continued his stellar research on heterogeneous computing. Antonella Wilby received the undergraduate award; she has also had an eventful year having received a National Geographic Young Explorer Award earlier this academic year. Her work develops technologies for documenting the Vaquita – the worlds most endangered marine mammal.